Are you looking for air conditioning, plumbing, heating and related services?? If yes then Dallas Plumbing Company is nothing short of a treat for you. We are into this since 1932. We are there for our customers 24*7. Call us anytime, and we will be there to serve you for sure. What services we offer? Dallas Plumbing Company also resolves common household issues like, drain cleaning, plumbing issues, water heater problems, repipe, well water problems, kitchen and bathroom fixtures. We offer a number of plumbing services like faucet sinks, slab leaks, bathtub showers, and water leak repair. For all kinds of ac related services like maintenance, repair and installation, and replacement you can rely upon us. We also provide services in water filtration and water treatment systems, water heaters. Every single moment counts in an emergent situation. Dallas plumbing company even resolves problems that need immediate solution in no time. Some of our emergency services include emergency pipe replacement or repair, emergency water heater repair or replacement, emergency drain cleaning repair or replacement. Every single emergency is handled of by team of experts efficiently and carefully. The staff we have at Dallas Plumbing Company is skillful, expert and takes care of minutest possible things when it comes to plumbing services. Our staff members consist of only the experts and you can be sure of our plumbing services. We have dedicated staff that strives towards satisfaction of the clients so you can completely rely upon Dallas plumbing company. 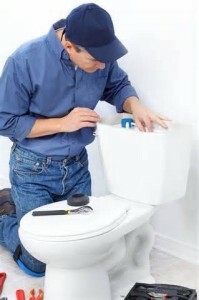 We at Dallas plumbing company are dedicated to service of our clients in the efficient and reliable manner. Dallas Plumbing Company is a one stop for all your AC related services, plumbing and residential issues. We have dedicated professionals who strive for delivering plumbing services experience worth of your money. We are a committed team that delivers best in class services in the most affordable rates. We are into this since 112 years that means we surely know how to do it. We have many special offers. Offers are renewed after every now and then. We also serve in commercial and industrial areas as well. Our best achievements are our customer’s satisfaction, besides this we have achieved much. We have won many customer choice awards since 2008.We have also won Angie’s list super service award for the year 2015. We feel proud to be counted among the best plumbing companies in the town since 1932. 112 years and still counting. It is nothing but our customers who believed in Dallas plumbing company and put us where we are now. 112 years is no luck, we are here today because we know how to do it. With us you will be guaranteed 100 % satisfied Why anywhere go when you can have Dallas with 112 years of trust. Look for none other than the best in the class – Dallas Plumbing Company is here whenever you face any household issues. We are happy to serve you. You can call us at 214-340-6300.